There are times in my past when having something like this would have been very helpful. 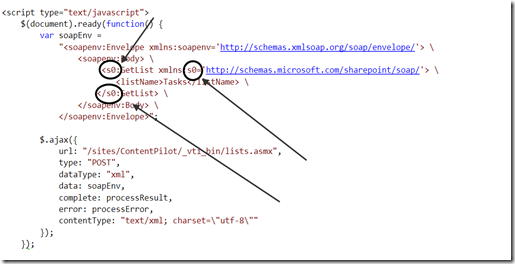 This entry was posted in SharePoint Development on June 23, 2014 by Paul Galvin. QUnit let me set up unit tests and group them into modules. 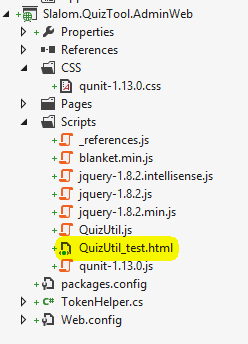 A module is just a simple way to organize related tests. (I’m not sure I’m using it as intended, but it’s working for me so far with the small set of tests I have thus far defined). Between setting up good test cases and viewing coverage, we can reduce the risk that our code has hidden defects. Good times. As you can see, I was using 1.13.0 at the time I wrote this blog post. Don’t forget to download and add the CSS file. Placing a <div> whose ID is “qunit”. Hide passed tests: Pretty obvious. Can help your eye just see the problem areas and not a lot of clutter. Module: (drop down): This will filter the tests down to just those groups of tests you want. It goes without saying that you need to write your code such that it’s testable in the first place. Using the tool can help enforce that discipline. For instance, I had a function called “getTodayAsCaml()”. This isn’t very testable since it takes no input argument and to test it for equality, we’d need to constantly update the test code to reflect the current date. I refactored it by adding a data input parameter then passing the current date when I want today’s date in CAML format. 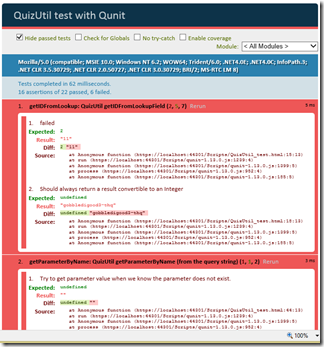 The Qunit framework documents its own tests and it seems pretty robust. It can do simple things like testing for equality and also has support for ajax style calls (both “real” or mocked using your favorite mocker). Going through the process also forces you to think through edge cases – what happens with “undefined” or null is passed into a function. It makes it dead simple to test these scenarios out. Good stuff. 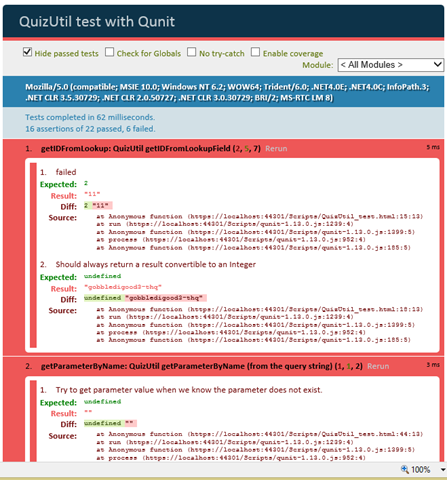 Blanket.js complements Qunit by tracking the actual lines of code that execute during the course of running your tests. It integrates right into Qunit so even though it’s a whole separate app, it plays nicely – it really looks like it’s one seamless app. The highlighted lines in Figure 5 have not been executed by any of my tests, so I need to devise a test that does cause them to execute if I want full coverage. Blanket.js picks up the “data-cover” attribute and does its magic. It hooks into Qunit, updates the UI to add the “Enable coverage” option and voila! Use Qunit to write your test cases. Be creative! Think of crazy, impossible scenarios and test them anyway. I never did any of this before and had some rudimentary stuff working in a handful of hours. 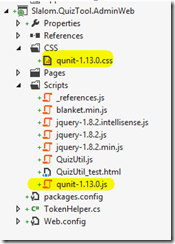 This entry was posted in SharePoint Development, SharePoint Online and tagged blank.js, Qunit on January 5, 2014 by Paul Galvin. Of course, you probably wouldn’t add that “s0” prefix on your own, but some tools are prone to do it (like Eclipse). This “value cannot be null” seems fairly common with lists.asmx so hopefully this will help someone out in future. This entry was posted in jQuery and SharePoint, SharePoint Development, SharePoint Web Services and tagged lists.asmx on May 17, 2011 by Paul Galvin. One of my projects right now makes extensive use of managed metadata columns. The restored data showed the values, but they were not editable. Interestingly, all of the code I was writing was able to query those fields fine. I just couldn’t edit any of them. I couldn’t even edit those columns on entirely new pages/list items. I could not find any errors in the log files. I played around with it for longer than I like to admit until somewhere along the idea I got the idea to update the site column in the web UI. My thought was that maybe the backup/restore process broke some connections between the MMS service and the site columns. That did, in fact, solve it. It’s a pain because you have first select the right term group and second, fix it everywhere it’s used. In my case, it’s worth the effort to get that sweet, sweet test data. It does beg the question – how do you keep a test environment in good shape that’s a backup of production? I think that’s my root cause here and it’s a kind of normal thing for people to create a test environment as a backup of production… Questions, questions.. This entry was posted in SharePoint Development, SharePoint Managed Metadata and tagged SharePoint MMS on May 16, 2011 by Paul Galvin. I’m working out on a project where I’m pulling some data from a search, packaging it up into an XML message and then that XML is ultimately transformed into HTML via XSLT. 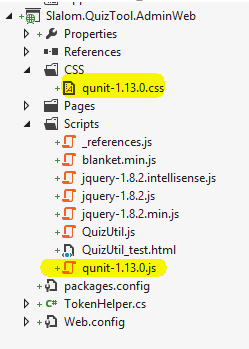 There’s a lot of jQuery involved, one bit of which implements some tabbing functionality. When you click on a tab (really, a <div>), jQuery invokes .hide() and .show() on various divs (the initial page load downloads all the content so there are no postbacks in this case). </div> <—finally showing it was closed all the way down here! After I did that, all the div’s lined up nicely and my tab switching started working. As always, I hope this helps someone in a pinch. 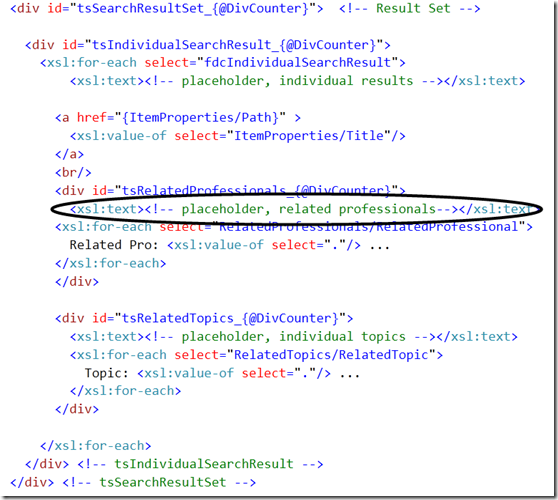 This entry was posted in jQuery and SharePoint, SharePoint Development, XSLT and tagged jQuery, XSLT on May 12, 2011 by Paul Galvin. 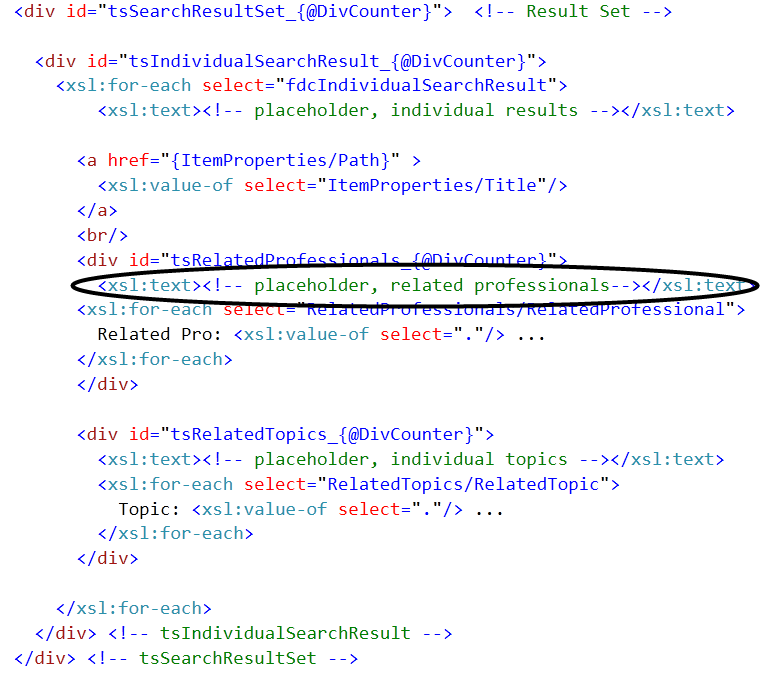 I’ve been doing a lot of work with SharePoint search lately and specifically the KeywordQuery class, properties and methods. This entry was posted in Funny, SharePoint Development, SharePoint Search and tagged HarlanEllison on May 10, 2011 by Paul Galvin. I derived this list from a SharePoint 2010 environment, enterprise edition. Hopefully it will be handy to someone in future. This entry was posted in SharePoint Development, SharePoint Search and tagged KeywordQuery SharePoint on May 9, 2011 by Paul Galvin. It turns out that you should not put a parenthesis in file names. I removed the parens and that solved the problem. 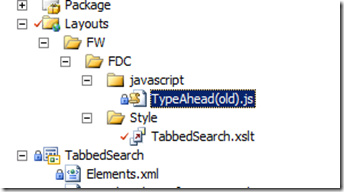 This entry was posted in SharePoint Development on May 6, 2011 by Paul Galvin.